Okay, so maybe Hyon Song-wol wasn’t machine-gunned because her ex, North Korean dictator Kim Jong-il is a friend of Dennis Rodman (Korea’s answer to Penn and Teller, I’m thinking), but the fact that she was executed at all (along with a number of other people as well) is simply taking the whole “don’t video yourselves naked” too far. Jesus, why do they put video cameras in cell phones, anyway? 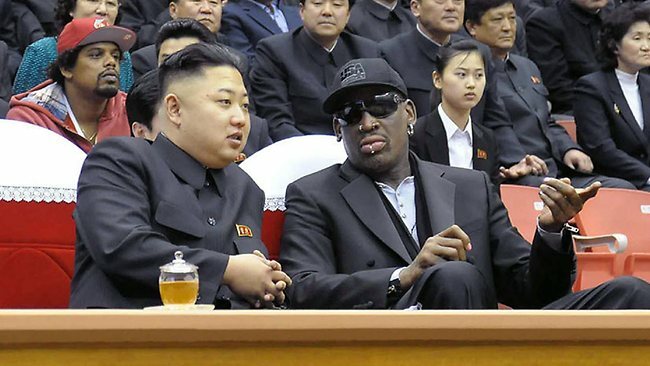 The former Chicago Bull, Rodman, being “friends” with the ruler of this horrible country is weird enough (though when you look at him and his piercings, not really, I guess) but to go on TV and defend his little buddy’s culpability in the public execution means Dennis is simply not getting good advice from…well…anybody.